Some of the most important Social Bookmarking sites that you should consider using if you want to improve the number of people visiting your site and your online reputation in the eyes of the search engines are the following. • Digg – The focus of this bookmarking service is about community and user feedback. The feedback loop that Digg maintains is probably the most effective out of these three. • StumbleUpon – is more of an add on than a complete service. If you use Firefox you can install this as an additional toolbar to help your bookmarking procedure. Less of a business device but more of a leisure tool. These three bookmarking sites are the most influential and well valued site available if bookmarking is your game. These sites rely on user participation, opinions, tastes, dislikes and so on. A worthy point to consider is that these bookmarking sites are about sharing your choices of sites, other than your own. If you are concentrating on the business side of things, bookmarking sites still do hold value if you link correctly to your products and services with a balance of relevant and useful information. One thing’s for sure, the majority of people using these types of bookmarking services are the elite social types. These types of people firmly believe that the sharing of information is definitely the way forward. The sharing of information is an important skill that we should harness within business and personal lives. The World Wide Web was made for the sharing of information and the fact that so much information is out there, social bookmarking services help categorize data in a far more personal way than that of the search engines. Business Promotion can benefit greatly from the correctly implemented bookmark baits. Be sure to add social bookmarking buttons to any content you want to get noticed. All the sites featured allow for link buttons to be added to your site to make it easy for people to share your content. Keep track of what you’re bookmarking as this will directly reflect on your online business. Bookmark relevant and interesting information and try to maintain a consistent level of marks and review the link functions every once in a while to weed out expired links. You can’t really go wrong with social bookmarking as long as your share and contribute your opinion in online media will be valued. Should I Use An Article Submission Service? Why Isn’t my Site being Crawled Properly? 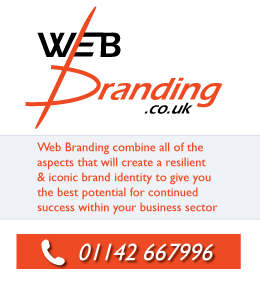 How Web Branding Can Help You? Copyright © 2010 Web Branding All rights reserved.